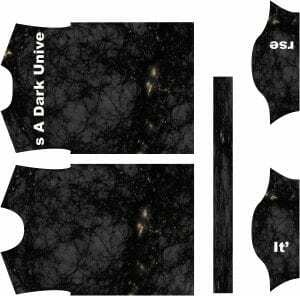 The research topic I chose to pursue for the semester is “Dark Universe” which is about space. I had to create three iterations of a t-shirt design. I decided to print use the first design. I don’t think there’s an immediate concern or threat regarding outer space but I feel like it is something that all of us should be curious about. So often we get caught up in our own lives when if we remember how vast the universe is and how little we know about it we might be able to see the bigger picture. The intent of my design is not only to be visually intriguing, but I also want it to be an interesting piece of clothing that’s a conversation starter. 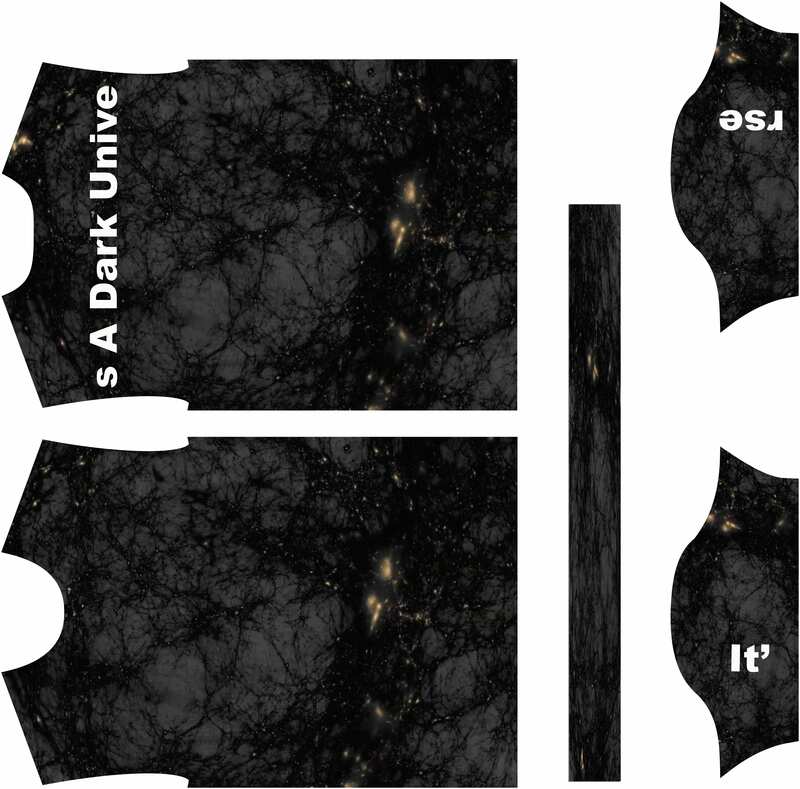 1.The background is a screenshot from the film representing dark matter. 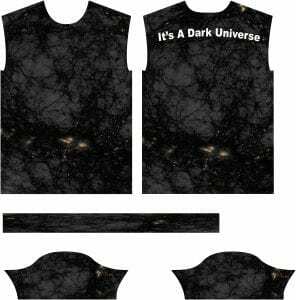 Then I put the words “It’s A Dark Universe” moving from the back of the left sleeve, across the back of the shirt, to the back of the right sleeve. 2. I then had the same background photo but with “It’s A Dark Universe” only on the back body of the t-shirt. 3. For this version, I used another screenshot for the body, then added in different sized “falling stars.” I then made the collar pieces match the red in the body and the sleeve black. This screenshot is of the galaxies moving through time since the Big Bang. 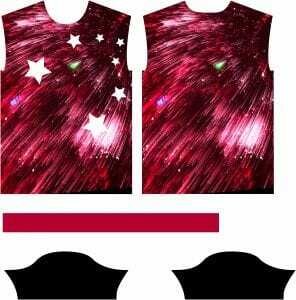 In my research book, I noted that this image reminded me of fireworks and “falling stars” so I put in the white stars “falling” from the front top left of the body across and down the shirt.